Santa claus LN. 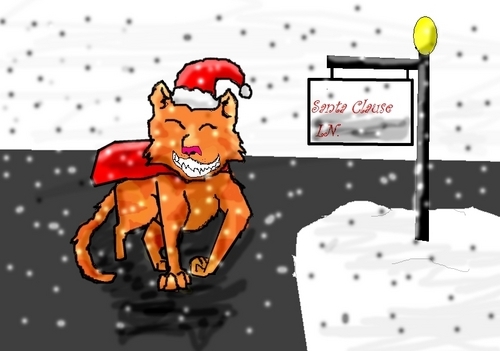 Squirrelflight is walking down Santa claus Lane. HD Wallpaper and background images in the Warriors (Novel Series) club tagged: warriors squirrelflight warrior. This Warriors (Novel Series) fan art might contain हस्ताक्षर, पोस्टर, पाठ, चॉकबोर्ड, साइन, and साइन इन करें.